Gives skin instant radiance. RRP £30.00. 30ml Full Sized Dropper Bottle. Radiance Face Oil. Described as dewy skin in a bottle, this gorgeous oil is bursting with ingredients to feed and nourish the skin. Add 2-3 doses of silencing mask to cool and shrink the blood vessels, reducing any redness! After 15-20 minutes, remove the mask. In order to increase the cooling effect, you can also add 2-3 doses of the noise mask. Full size - 175ml. phytoextrosto This OASA soothes and prevents the accelerated aging of the skin.HONEY & MANUKA NUTRIFIER ™ smoothes and protects against water loss from the epidermis.CERAMIDE REPAIR COMPLEX ™ intensively regenerates, promoting skin renewal. Only recently have its properties been appreciated by the rest of the world. 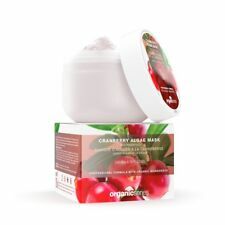 Add 2 doses of Silencing Mask to cool and shrink the blood vessels, reducing any redness! While the algae mask is congealing, do a gentle massage of the head or hands. 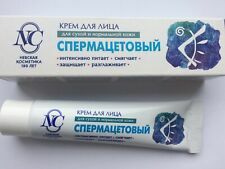 Spermaceti cream for dry and normal skin. The cream is an effective nutrient with a high content of oils and fats. Lanolin - natural fat, protects the skin from defatting and makes it soft and elastic. Our Skin care Products are light weight products and absorb well into the skin with no greasy residue. What makes Escargot Collection unique is the use of Helix Aspersa (Snail Secretion Filtrate). They also stimulate cellular renewal and prevent the skin ageing. Face Oil Sensitive Skin Ikarov 30ml with Bulgarian Rose, almond, avocado oils. Oil for dry skin - quickly assimilated, improves turgor and smoothes the skin. While performing the self-massage, all motions should be light, free and should follow the basic face lines. Nourishing Natural Face Mask White Clay by Marion. Face mask based on white clay. for sensitive skin, tired, redness, dry and normal. Soothes, revitalizes and smoothes the skin. Perfectly nourishes devoid of firmness and tightness of the skin. 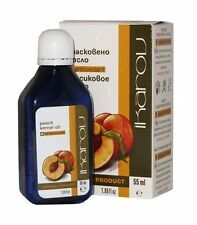 PURE NATURAL Peach Kernel oilby Ikarov– 55ml. Manufacturer: Ikarov, Bulgaria. Peach oil is similar in composition to the almond and apricot oil, but absorbs more slowly. Peach oil is suitable for dry and aging skin, has a good anti-wrinkle effect. Every morning and evening massage cream into cleansed skin of the face, neck and décolleté. The cream provides an excellent base for makeup. For maximum effect – reversal of biological skin age. France Elegance. Unsaturated fatty acids penetrate the deeper layers of the skin and work directly on cellular processes to produce healthier feeling skin. Hair Coloring Cream. Bio Washing Powder. Suitable for dry, dehydrated and aged skin. Isabel Ricardo -DRAGONS BLOOD INSTANT ANTI-WRINKLE CREAM FORMULA 30ML PUMP BOTTLE. This patented formula contains 100% COLLAGEN PURE POWDER,DRAGONS BLODD FORMULA(SANGRE DE DRAGO) PURE SAP and many healing and powerful essential oil and Minerals, in its purest form, to workdeep within skin's surface where wrinkles develop. CERAMIDE NUTRITIVE CREAM. 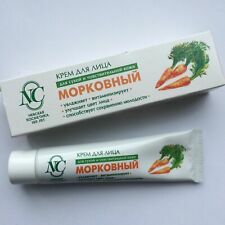 NUTRITIVE COMFORT CREAM. Ceramides, lupin extract and avocado extract soften the skin, improving hydration and restoring skin suppleness. 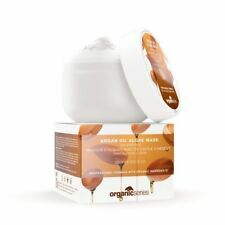 CERAMIDES NOURISHING CREAM. ABOUT CERAMIDES NOURISHING CREAM COMPLEX. Shea butter is extracted from the fruit of an African tree and it consists of saturated and poly non-saturated fatty triglycerides in ratio 50:50. It produces a thin protective layer on the skin and a feeling of dryness. Rejuvenating oil for mature skin. Contains wheat germ, apricot and coconut egetable oil. Enriched with essential oils from Bulgarian rose, sandalwood, franckincense and petigren. Suitable for face, neck and neckline. The geranium oil has a cleansing and refreshing effect and tightens up the pores, while the chamomile oil has a soothing and antiseptic action. ; proceed with vertical motions beginning from your chin, cheek bones, eye contour and finish with the forehead. NATURAL HEMP OIL for dry skin - Cannabis Night Cream with HEMP OIL - penetrate the deeper layers of the skin. ❤ DESIGNED FOR YOU: for dry, tired, dehydrated or sensitive skin, that is prone to dryness and cracking. FIGHT DRY SKIN AT THE SOURCE - This premium hydration Hyaluronic Acid Serum works quickly to hydrate the skin & reduce flaky or peeling skin. No more patchy or dehydrated skin, say hello to a healthy and radiant complexion! 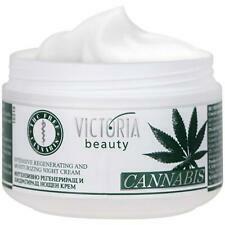 NATURAL HEMP OIL for dry skin - Cannabis Night Cream with HEMP OIL - penetrate the deeper layers of the skin. ❤DESIGNED FOR YOU : ❤ for dry, tired, dehydrated or sensitive skin, that is prone to dryness and cracking. Ikarov Oil for sensitive skin The base oil is a mixture of almond and avocado oils which are best accepted by human skin. They soothe and strengthen the protective functions. Objem: 30 ml. Oil for dry skin - quickly assimilated, improves turgor and smoothes the skin. Perform the tapping and stroking motions in succession. With light, horizontal motions, apply the desired by you oil to low-neck, neck and face, starting from one shoulder towards the other; proceed with vertical motions beginning from your chin, cheek bones, eye contour and finish with the forehead. Oil for combination skin - regulates fat secretion and nourishes the skin. It penetrates deeply without leaving an oily layer. The base oil, which is a mixture of olive phytosterols, jojoba and grape seed oils regulates the fatty secretion and tightens up pores. Phone numbers are only needed in case there is problem with your order. -Rest of the World. They soothe and strengthen the protective functions. The base oil is a mixture of almond and avocado oils which are best accepted by human skin. 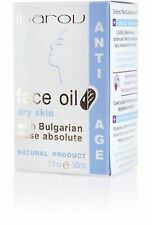 Anti-age face oil dry skin - 30ml. It has an excellent effect over the hair. With the help of this ingredient, you nourish and hydrate the hair. With light, horizontal motions, apply the desired by you oil to low-neck, neck and face, starting from one shoulder towards the other; proceed with vertical motions beginning from your chin, cheek bones, eye contour and finish with the forehead. IKAROV 100% Pure Natural Apricot Kernel OIL 55ml - Anti-Wrinkle. Apricot oil is very close in its composition and effect to almond oil. It can be used as massage oil for babies and young children. Anti Wrinkle Face Oil for Dry Skin Ikarov with Bulgarian Rose. Oil for dry skin - quickly assimilated, improves turgor and smoothes the skin. The geranium oil has a cleansing and refreshing effect and tightens up the pores, while the camomile oil has a soothing and antiseptic action. ; proceed with vertical motions beginning from your chin, cheek bones, eye contour and finish with the forehead. Thegeranium oil has a cleansing and refreshing effect and tightens up the pores, while thechamomile oil has a soothing and antiseptic action. Face oil for dehydrated, very dry and flaky skin. Enriched with essential oils of sandalwood, rose oil, geranium and chamomile. Together they improve skin elasticity and increase the level of hydration in the skin.